My family invest heavily in real estate so we have worked with many realtors of all different personalities and competency levels. Jeni is on the TOP of our list. She has the perfect combination of a winning personality, professionalism, smarts, patience, ability to see the big picture yet focus on the details, organization, the perfect balance of not being too pushy yet offering relevant advice… my list of compliments can go on forever. We live in Texas and we were selling a house in the San Jose area and thought it was going to be a difficult process because there are tenants and legal issues involved. Jeni patiently assisted as much as she could in the process of evicting the tenants and was always available to talk to me on the phone. That was very important since we were managing everything from out of state. After the eviction we had to heavily renovate the house. I thought I would have to fly out to CA. But Jeni was able to handle everything for us without me ever having to travel to San Jose. We successfully remodeled the entire house from head to toe, inside to out, all thanks to Jeni. She was an excellent negotiator. When trying to guide us through the remodeling process, she checked multiple sources and offered many options and price point so we could be confident in what we choose. She later assisted in staging the house and making every part of this process smooth and easy. We really couldn’t have done it without Jeni. The house ended up selling for much more than we could have ever imagined. I highly recommend Jeni Pfeiffer. 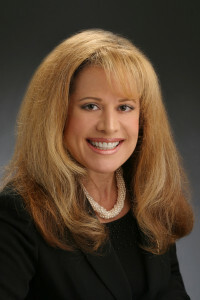 – Cassandra C.
With have worked closely with Jeni to buy and sell properties in the Silicon Valley. If you are looking for the absolute “best” realtor, Jeni is the complete package. She is a poised professional with all of the necessary skills to locate the properties you are looking for. Jeni is a great listener and understands exactly what you want, what you need and what you are willing to negotiate to purchase your dream home. She is very competent, extremely organized, hard-working and persistent. Her tenacity, patience and attention to details are well above the mark. Jeni is not only ‘our’ realtor, we consider her family and a close friend, a rare treasure. We have recommended her to many friends and family. With Jeni by your side, buying and selling property is an energetic, positive and successful experience. – Jessie K.
“Jeni came to us highly recommended by a previous client of hers. First, she helped us understand the state of the market and set our expectations on what would be possible to purchase within our range. Then she went above and beyond to help us a find a place that would work for us. We looked at a large variety of properties with Jeni and she was always very supportive and in tune with our needs. When we had a calendar conflict during a lottery for new townhomes, Jeni even attended on our behalf! Finally, through her strong relationships with builders and sellers, she was able to secure us a new townhome that was falling out of contract. There were several interested parties so Jeni actually drove to my work to pick me up so we could beat the other interested parties to the property.